Arrange your private transfer for a time to suit your schedule, and then meet your friendly driver at Chania Airport to travel directly to your hotel on the island of Crete. The private transfer service covers the towns of Agia Marina, Chania, Georgioupolis, Kolymbari, Platanias and Rethymno. Whether youre traveling individually, with a partner or in a group, your ground transport needs will be covered by this private transfer service. Avoid the confusion of taxis or public transport and enjoy a hassle-free start to your vacation on the gorgeous island of Crete. 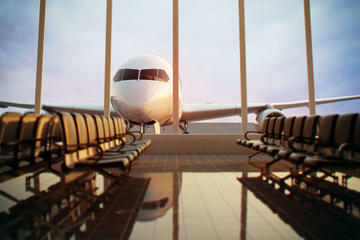 When making a booking, you will need to advise your flight details and your Crete accommodation details. Your transfer will be confirmed instantaneously and you will be provided with a travel voucher to present to the driver. Approximately 24-48 hours prior to your arrival in Chania, you will be required to reconfirm exact pickup time and place (the contact number will be provided on your travel voucher). Price is per person, based on 4 adults per car or minivan.